Just as a bestpicture Oscar win can mean so much at the domestic box office, so it serves toboost a picture's international prospects. Million DollarBaby's night of triumphon Feb 27 has already had significant ramifications for its international roll-outthrough Lakeshore Entertainment and there are no signs of letting up. Since Oscar nightthe picture has grossed approximately $10m in its active markets to raise theinternational cumulative total to $35.5m. Several marketsopened as recently as three weeks ago and, with four majors - South Korea,Germany, Japan and France - still to open, Eastwood's presence will be keenlyfelt around the world for some time to come. "We think thisone has the potential to play out for months, " Lakeshore's vice president ofworldwide marketing Rob Burke told Screen International. "Some marketsare going gangbusters. The picture is closing in on $9m in Spain and has beennumber one for the last three weeks in Portugal, where it's taken approximately$800,000." In Greece Million Dollar Baby has exceeded estimates by 85%and has grossed $1.5m. The grosses havebeen impressive in most markets so far (see table below), and Lakeshoreexecutives only expect them to get better as exhibitors boost print counts. "Since Feb 27 boxoffice has jumped about 65% in general, although that does include expansionsin some markets," Burke adds. "It's interesting because this is a relativelysmall film and we went out with a mid-level release and it's generated a veryhigh per-screen average in every territory. Four or five weeks after it openedit's sustaining itself and exhibitors are keeping it in theatres." 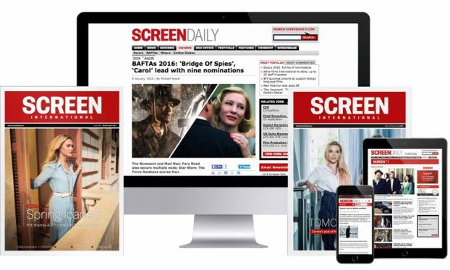 The UK, where thefilm is in its eight hweek, saw the biggest post-Oscars rise with a 420% boxoffice increase thanks to increased ad spend by Entertainment Film Distributorswhich also expanded its screen count from 84 to 246 sites. New Zealand alsoimpressed in its fifth week where Baby jumped 154%. Five extra screens wereadded and a 64% increase recorded in The Netherlands for A-Film Distribution's,while Norway's Svensk Film also gained 60%. In Italy a 48screen addition was made by 01 Distribuzione and a 60% rise seen. Ascot Elitemay only have added one screen in Switzerland but box office rose 31%week-on-week. Spain saw Filmax add 26 screens and reap a 41% week-on-weekbenefit. After a hasty bitof revised planning France will now go out on 400-450, while Germany, whereEastwood's pictures don't always hit the mark, goes out on 200-250. South Korea isopening wide this weekend, a bold move that demonstrates how much confidencethe Academy Awards can instill in a campaign. Typically the South Korean marketis a tough one for Hollywood fare because local product is so strong and enjoyssuch a devoted local following. However Lakeshoreis going in all guns blazing and executives will look for a strong first twoweekends and hope it doesn't drop too dramatically. Encouragingly, reviews havebeen strong and test screenings have shown high approval ratings. Japan is a hardmarket as well, but the print count has nonetheless risen in advance ofrelease. Some Hollywood titles can excel in the market while others fall by thewayside and it's notoriously hard to predict results. What is known isthat Oscar winners prosper in Japan, and local audiences like Eastwood, as theytend to do in the Latin American markets. It also appears to be true thatJapanese audiences love a story with a sad ending, as evidenced by the localsuccesses of Titanic and Lakeshore's Autumn In New York, whichgrossed $12.1m. "The storylinewill get the younger demographic into the theatres," Burke says, adding thatadvance publicity has helped the picture skew to a younger crowd. In terms ofpublicity tours, Hilary Swank, Morgan Freeman and Eastwood want to go to Japan,schedules permitting. "The problem wehad with releasing this during the awards season was that these threeperformers were too busy doing the awards rounds in the US to tour with thepicture."